85-year old Dianne Feinstein told a bunch of climate protest kids last week that she’d been in Washington for 30 years and she ‘knows what goes on’. If she can’t see what the problem is with that, then she merely confirms 30 years is far too long in such a spot; Feinstein has been in Washington longer than Ocasio has been alive. Who does she represent that has an actual future left? Someone wrote the other day that Alexandria Ocasio-Cortez’s way of presenting herself showed she was “savvy beyond her years”, and I thought: you have that upside down. Those older than her couldn’t have presented themselves the way she does, because being 29 years old, born in 1989, she’s the first generation to literally grow up with internet and new media being everywhere. For anyone older, it’s acquired skills. This is simply her time, and she uses it in the same way Donald Trump used the 2016 campaign being his time: they both found a gaping vacuum in power and credibility in their parties, and both jumped in. Even if that would be the only similarity between the two, it would still be an important one. A big, new danger appeared in Congress this month: Alexandria Ocasio-Cortez, the newest representative of New York’s 14th district. At 29, she is the youngest woman ever elected to Congress; she will doubtless be there for decades to come. Eighteen months ago, she was working as a waitress. Then, even though her opponent outspent her 15-to-1, she won the race to sit in the House of Representatives. Ms. Ocasio-Cortez has a pleasant look about her. We’d probably like her if we met her. But she is clearly a danger to herself, her constituents, and to the nation. When the mainstream flim-flam financial policies fail, people look for scapegoats and solutions on the edges. Now, they turn their sore eyes to New York’s 14th district, where Ms. Ocasio-Cortez has been elected to Congress. The product of the Puerto Rican Enlightenment, she believes there is no problem that a government program can’t solve. Got healthcare issues? She would offer Medicare for All. Need a job? She proposes a Job Guarantee. Want to go to college? Get ready for Tuition-free College. Worried about global warming? How about a large-scale “green infrastructure” program? Wait a minute… You’re probably wondering, how can we afford all these things? After pulling off a major upset in the Democratic Primary for New York’s 14th congressional district, 28-year-old Alexandria Ocasio-Cortez is now being touted as the new face of the Democratic Party. Ocasio’s victory has rejuvenated the Democratic Party and liberals naitionwide. For many on the Left, Ocasio’s recent victory is a breath of fresh air after putting up with Hilary Clinton’s failed presidential campaign in 2016. Beyond the typical R vs. D analysis that continues to grab headlines, what is most troubling about Ocasio’s meteoric rise to political fame is her complete disregard for basic economics. A brief look at her platform is enough to realize that the ideas of socialism are alive and well in American politics. The common denominator of all her proposals is the amount of faith placed in the State to conduct private affairs. Channeling the spirit of failed presidential candidate Bernie Sanders , Ocasio describes her program as democratic socialism . Leftists have tried their best to re-brand and obfuscate socialism to make it palatable to the misinformed masses. No matter how many times socialist experiments have failed—from the Soviet Union to present-day Venezuela —many naïve leftists continue their never-ending goose chase for a socialist experiment that works. The casual mention of socialism in political discourse is troubling. When countries like Venezuela are crumbling before our very eyes it is astounding that many elected officials continue to flirt with the idea of implementing socialism. In the Left’s imagination, Scandinavia is the silver bullet to the capitalist model. 1. They are among the freest economies in the world (which admittedly may not be saying much), according to various economic freedom indices. At worst, they are mixed economies. 2. As highlighted in works like Scandinavian Unexceptionalism, Nordic countries first became rich through capitalism well before the welfare state was established. Facts notwithstanding, the political Left continues to doze off into economic lala land and relies on raw emotion to draw conclusions on political economy. Prepare to be enriched. Or rather, impoverished. A Mewllennial bartender-turned-Hugo Chavez wannabe just won the 14th District in a NY Dem primary, in a shock upset over the fourth-highest ranking Dem Representative, Joe Crowley. You hear that sound? It’s the Democreep Party splitting into two factions: the predominately White Establishment that used to champion the working class, and the Socialist Brown Power Freak Show that wants to gnaw on the bones of the carcass formerly known as America. Ocasio-Cortez isn’t some Bernie-Trump hybrid. She might be called distilled Bernieism, if Being Bernie means full-throated support of demographically swamping Whites with nonWhite imports and handing out gibs by the truckload to every third world vagrant who shows up at the American trough, until the system collapses into debt-loaded financial ruin. Oh, she does hate Israel, which should hearten the black pilling Trump-hater contingent. The traitorous mick she beat, Joe Crowley, isn’t some Dem moderate. 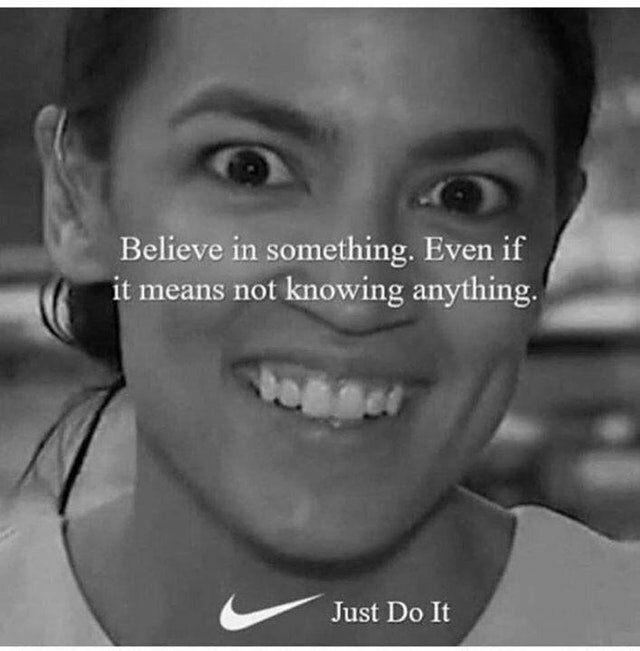 He’s a wacko leftist, too, and ran his campaign farther to the Left than he ever did before, and nearly in sync with the half-baked venezuelan slop Cortez was selling. The reason Cortez won is easy to grasp: NY’s 14th Congressional District recently became predominately latino, thanks to the two-decade tidal surge of south of the border migrants into the big blue cities. To continue reading: Here Comes The Diversity, White Man!